According to a report from the Guardian, Manchester United left-back Luke Shaw has been left ‘baffled’ by José Mourinho’s comments concerning him pulling out of the 3-1 win over Swansea prior to the game. Mourinho seemed to question Shaw’s decision to pull out of the team, as the defender thought he was not fit enough to play. 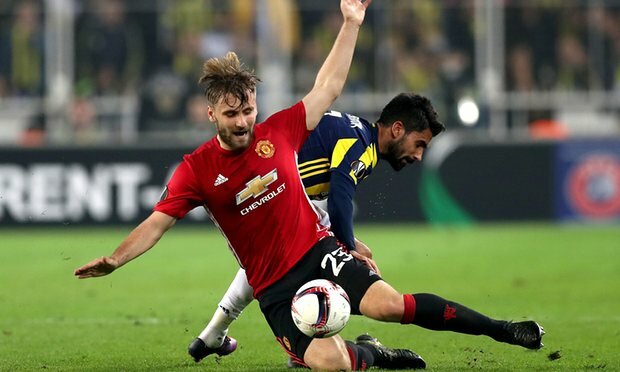 Shaw is thought to have suffered a problem in the same area where he broke his leg in two places last season against PSV Eindhoven. Mourinho also criticised Smalling for declaring himself unfit, saying that players should put a ‘little pain’ to the back of their minds and give 100% to the team. “Smalling doesn’t feel that he can play 100% with his pain, Luke Shaw told me this morning that he was not in the condition to play, so we had to build a defensive line,” Mourinho said. “There is a difference between the brave, who want to be there at any cost, and the ones for whom a little pain can make a difference. “If I were to speak with the many great football people of this team, they will say many times they played without being 100%.